Celebrating Halloween in the Magic City! - Word on the street with Visit Minot!Word on the street with Visit Minot! In just a few days there will be lions, tigers and maybe even a princess taking over the sidewalks in the Magic City. Here are a few fun ideas for the kiddos and even you to enjoy this Halloween. On Friday, October 26th you can make your way out to the Minot Family YMCAfor a family fun Halloween night. A fun event for children 12 and younger. Come in costume, enjoy, treats, toys, games, clowns, bounce houses and more! The cost is $5 per child or $15 per family. There will pizza and drinks available for $2 and popcorn for .50 cents. On Saturday October 27th you can head out to the Roosevelt Park ZooVisitors Center for the “Boo For the Zoo” from 1:00 pm to 4:00 pm. The cost is $1 for members and $3 for nonmembers. You can enjoy trick or treating, animal visits, a not-so-scary haunted house, face painting, and a free 3×5 photo from Michael J Photography by Lifetouch! But you must remember your costume! Then at 3:00pm you can make your way to Angelic Gardens for some Halloween fun (by mcclinton). You can enjoy wagon rides, haunted gardens filled with all sorts of gouls and creatures, bonfire, ghost stories, pumpkin carving station, games, and picture opportunities. There will also be pumpkins and other fall produce for sale as well as festive treats like carmel apples, apple cider, pumpkin pie slices, and more! The first 10 children to show up wearing costumes each day will receive a Halloween themed Trick-Or-Treat Bag! Show your military ID and receive treats at buy one get one 1/2 off! Tickets are $7.00 at the door. You can also head downtown on Wednesday, October 31st for the Down Business Association Halloween Treat Trail. The trail will go from 10:00 am to 12:00 pm. Don’t forget to head out to the Minot State University Dome along with the Student Council for Exceptional Children and the Optimist Club of Minot for their Community Halloween Party. The kids will line up at 4:00 pm and the trick or tricking will begin at 5:00 pm. 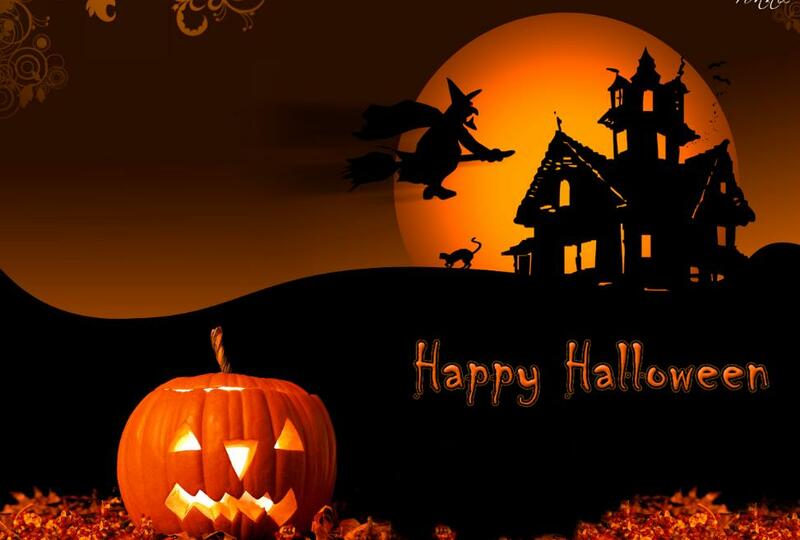 We hope everyone has a safe and festive Halloween in Minot!